Free Wheelin’ Rider Sport Convertible Balance bike is a stylish and original pushbike that changes and grows along with your child! Start it off as a 3-wheel push bike for younger children. As they get older, it easily converts into a 2-wheel balance bike to teach more advanced riders the skills they need for all future cycling! 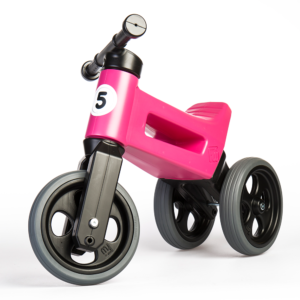 The height is also adjustable as little ones grow bigger! 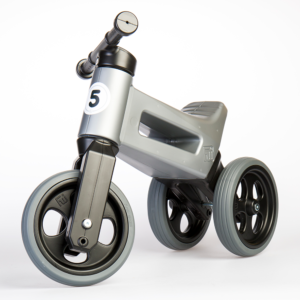 Free Wheelin’ also combines safety and security with the incredible joy of freedom of movement. 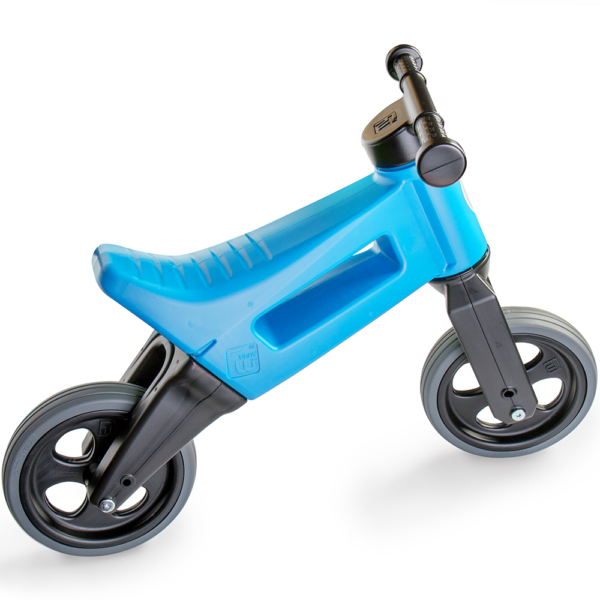 The restricted range of the handlebar radius helps prevent children from crashing, and the handlebar grips protect children hands from smashing. 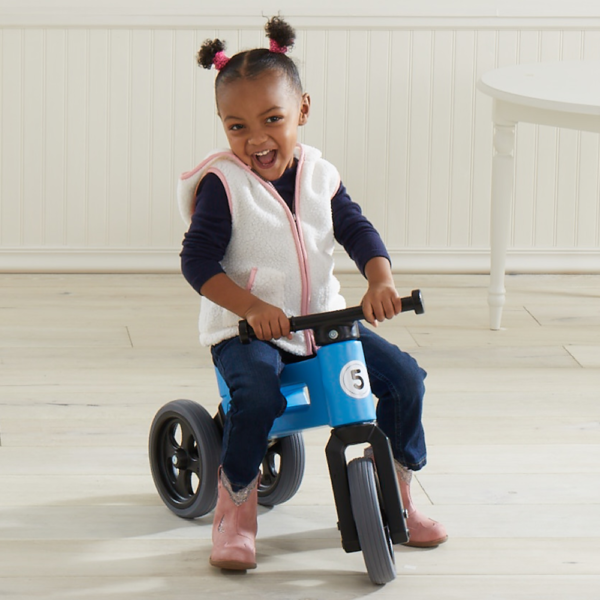 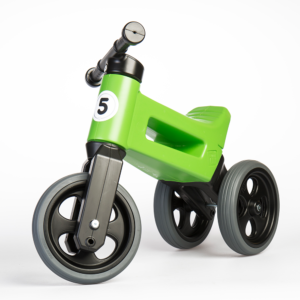 The 2-in-1 bike is available in many fun colors, and is for ages 1+ (80-lb. 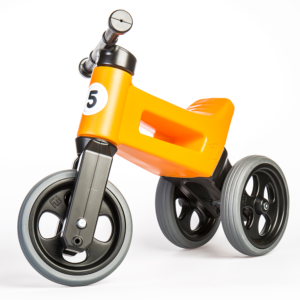 weight limit). Some simple assembly is required.